When the sun’s out and the long weekends arrive there’s nothing better than a weekend away. The trouble is that most people’s finances can only stretch to one holiday a year and weekend getaways in the UK tend to be quite expensive thanks to the cost of accommodation, but you can avoid all that if you invest in a caravan. We’ll tell you where the caravans to buy in the UK can be found and what to look out for if you’re new to caravanning. Caravans are nearly as varied as the cars that tow them so it pays to learn a bit about each type before deciding on the one for you. The vast majority of caravans sold in the UK have a single axle and are between 3 and 6.5 metres long inside. These caravans sleep between 2 and 6 people depending on the internal layout, and they have a washroom with a shower and toilet, and a kitchen area with a sink, work surfaces and a hob. The majority of caravans on Britain’s roads today are from the six major manufacturers, so these are the brands you can trust: Coachman, Elddis, Lunar, Swift Group, Bailey and Vanmaster. These caravans are larger and therefore heavier but they’re more stable. They are easier to tow on the road because of the extra axle but they’re more difficult to manoeuvre, which might be a problem if you’re a first timer on a caravan site. If you’ve got a small car, a tiny teardrop trailer is the thing for you. A classic car, sports car or even a trike can be used to pull one of these. The downside is that accommodation’s pretty basic and the cooking facilities are normally very simple. An Airstream caravan looks like it would be more at home on America’s open roads but it’s a genuine choice for caravan users in the UK. 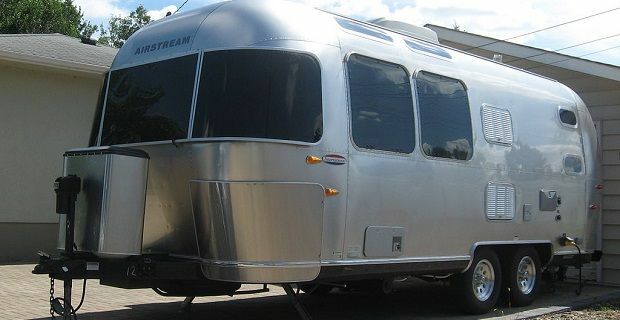 They can only be towed by a pickup truck because the hitch won’t fit most cars and vans, but there are massive advantages in terms of living space and there’s no more stylish caravan than an Airstream.